A portrait created by an artificial intelligence brought in $432,500 at Christie's in New York on Thursday in what was the first piece of computer-generated artwork for sale by a major auction house. It's signed by the artist: min G max D Ex[log(D(x))] + Ez[log(1-D(G(z)))], which was created by Paris-based collective, Obvious Art, using an algorithm known as a Generative Adversarial Network (GAN). 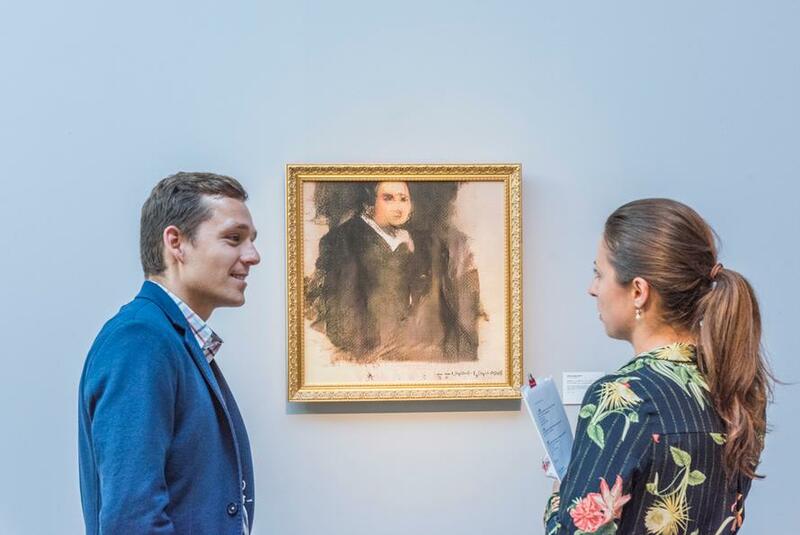 "We fed the system with a data set of 15,000 portraits painted between the 14th century to the 20th," said collective member Hugo Caselles-Dupre. A bidding war erupted over Edmond, with five prospective buyers going back and forth for around seven minutes. Finally, an anonymous phone buyer prevailed according to Christie's spokeswoman Jennifer Cuminale. "It is an exciting moment and our hope is that the spotlight on this sale will bring forward the amazing work that our predecessors and colleagues have been producing," reads a statement from the collective. "We are grateful to Christie’s for opening up this dialogue in the art community and honored to have been a part of this global conversation about the impact of this new technology in the creation of art." 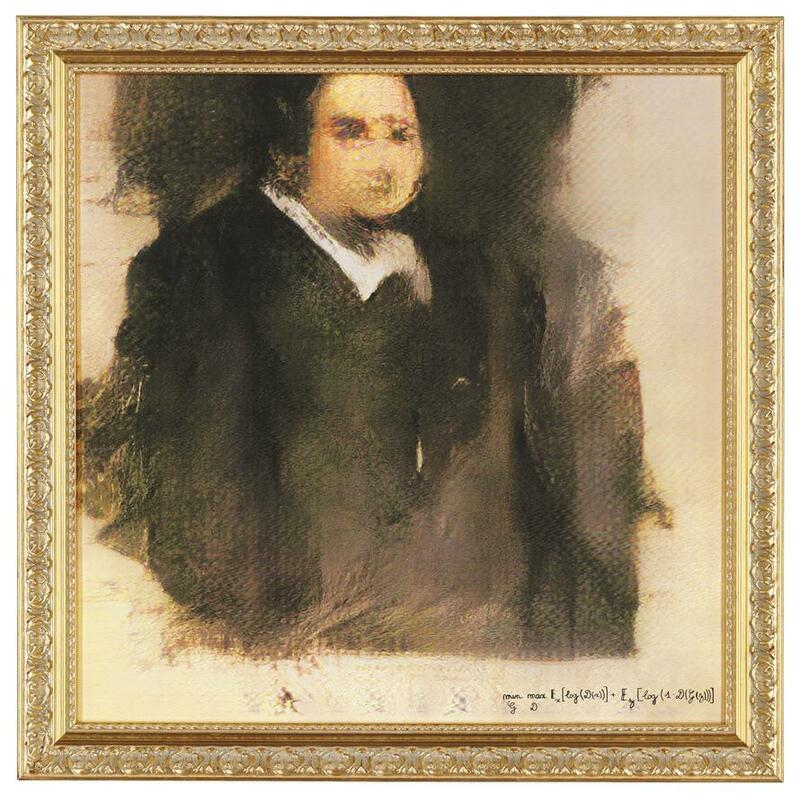 You can read about Obvious Art's AI work here.